Spend New Year’s Eve with Us! What are you doing New Year’s Eve? No plans? Perfect! 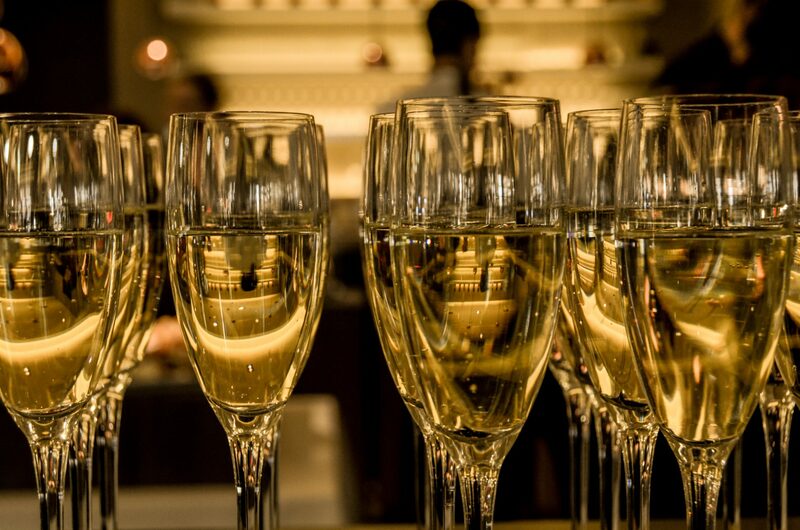 Come and celebrate our New Year’s Eve Gala in one of our illustrious ballrooms! Make forever memories with friends and family enjoying good food and music while dancing the night away in one of our beautiful venues – LIUNA Gardens or LIUNA Station! Joining us at LIUNA Gardens? Here’s all the details!! Doors open at 6 pm! Start your amazing evening with our deliciously famous antipasto appetizer, followed by pasta, and LIUNA’s signature long bone veal and some incredible accompaniments! Let our delicious crème brûlée indulge your sweet tooth all the while sipping on savory warm drinks. 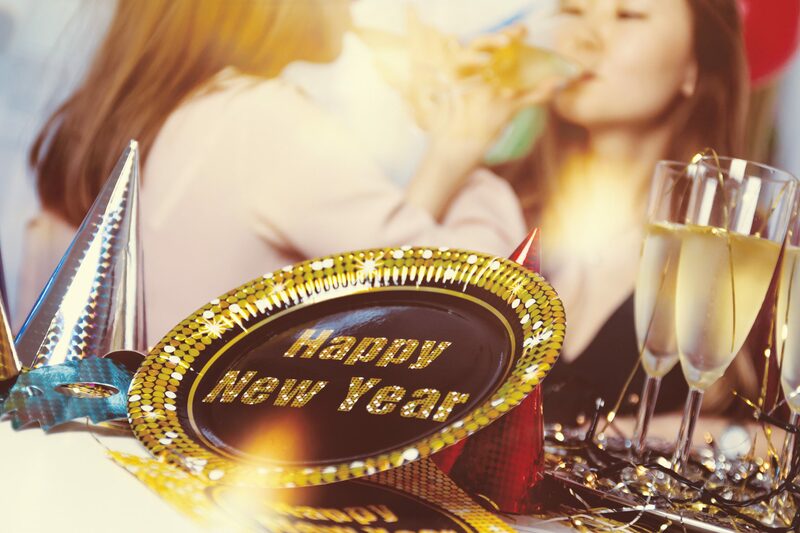 As the clock strikes twelve raise your glass of champagne to the new year and nibble on our midnight buffet which includes pizza and sweets all for $125 a person taxes included! 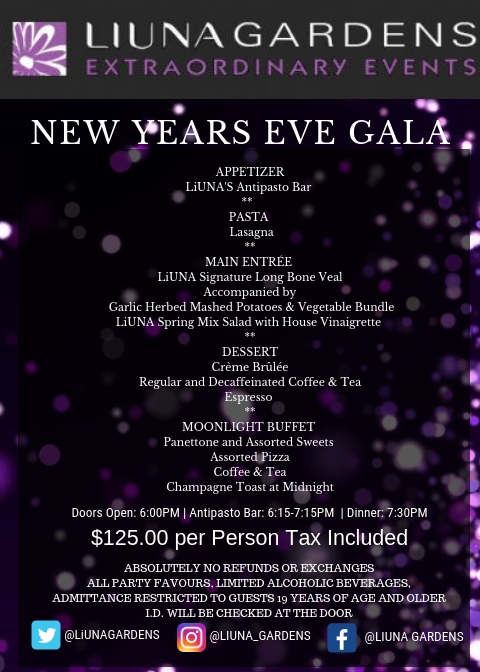 Looking to ring in the New Year at LIUNA Station? Here’s what you can expect!! Doors open at 6 pm! Upon arrival we welcome you with hot and cold hor d’oeuvres! Next up our famous antipasto classico appetizer with assorted rolls and butter, followed by pasta and for the main entrée grilled filet mignon with delectable sides! For desert, flavorsome Mediterranean honey nut cheesecake with coffee, tea and an espresso bar! At midnight ring in the New Year with a glass of champagne, panettone and assorted sweets, pizza and drinks all for $150 per person tax included! 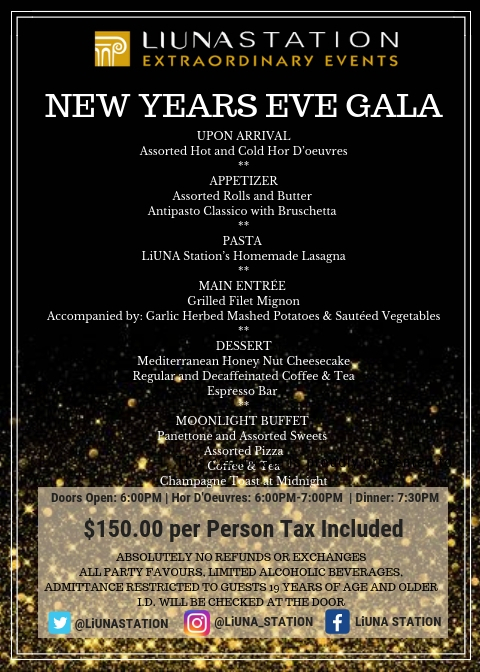 So, grab your best gal and guy pals, put your dancing shoes on and grab your party hat to kick off the New Year with a celebration like no other at LIUNA Station or LIUNA Gardens! We can’t wait to see you and have an amazing start to 2019! Stay tuned for weekly blog updates and make sure to follow us on LIUNA Station’s Facebook and Instagram and LIUNA Gardens Facebook and Instagram as we deliver fresh content to inspire, excite and assist as you plan your dream event. From all of us at LIUNA Events, thank you for following along!